We have always loved discovering new songs across all types of genres. Uncovering vinyl treasures at a very young age, laying in front of the speakers, eyes closed, drifting through the sound waves of The Beatles, Elvis, Neil Diamond, Johnny Cash, and then the album concepts of Queens ‘A Night at the Opera’ or Pink Floyds ‘The Wall’. Pop, Rock, Soul, Rap, Swing, Metal and the their sub genres. Guitar Heroes from Knopfler to Van Halen, Glam, Punk, New Wave, Hip Hop and back to Sinatra, Van Morrison and Chuck Berry. Its an endless list, only scratching the surface, for every discovery, that artist has an influence that reveals more songs and a history to explore. Defining moments occur at a very early age, when you’re unable to find the words to describe the hooks and melodies to anyone who may choose (or not) to listen. The influence of a ‘sound’ with producers such as George Martin, Phil Spector or Mutt Lange with AC DC, Def Leppard, Shania Twain, The Corrs and Muse. Record Labels like SUN, CHESS, Virgin, SUB POP or Def Jams’ importance in fostering new songs and artists.. Debating over the writing-production teams responsible for top 40 hits, such as Lennon & McCartney, Leiber and Stoller, Burt Bacharach and Hal David, Chinn-Chapman, Vanda & Young, or Stock, Aitken and Waterman just to name a few. This is when you know you care more than most about the beauty and discovery of a great and sometimes ‘lost song‘. – Lostsong Productions started up and has produced music videos, advertisments and completed production on a short film for an independent film festival. – THREE songs in the FINAL Top Ten Nominees for other songwriting genres from the Lostsong Nashville Sessions, COUNTRY –‘Together We Belong’ BALLAD Runner Up –‘I Know You Like It’ and SPIRITUAL- ‘Before The Sun’ . 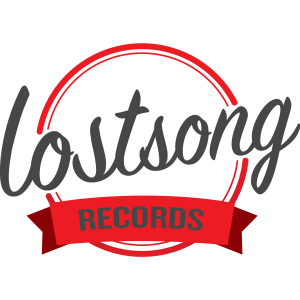 The Lostsong Nashville Sessions are songs written and produced by Christopher Mustica and Sean Bowen Featuring talented singers and musicians from The Beaird Music Group in Nashville.